Advent calendars are no longer just for Christmas, apparently. Those who look forward to 4/20 each year can count down to the high holiday with an advent calendar full of cannabis. Made by CannaCalendar, a packaging company specializing in the cannabis industry that sells its products to dispensaries and websites, the calendars are being marketed by the company as a gift for anyone who celebrates the April 20 event. 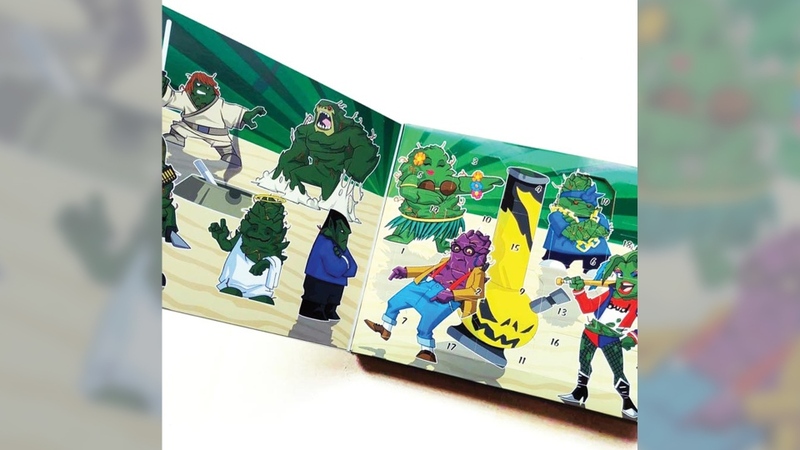 The calendars are illustrated with brightly coloured weed-themed versions of characters including Luke Skywalker, Harley Quinn, Spock and Steve Urkel. Two of the minds behind the project admit the idea came to them while high. "Well, we are advocates," laughed Michael Landon. Once purchased, staff at dispensaries and websites across Canada will fill the numbered sections with different strains of weed of their choosing. 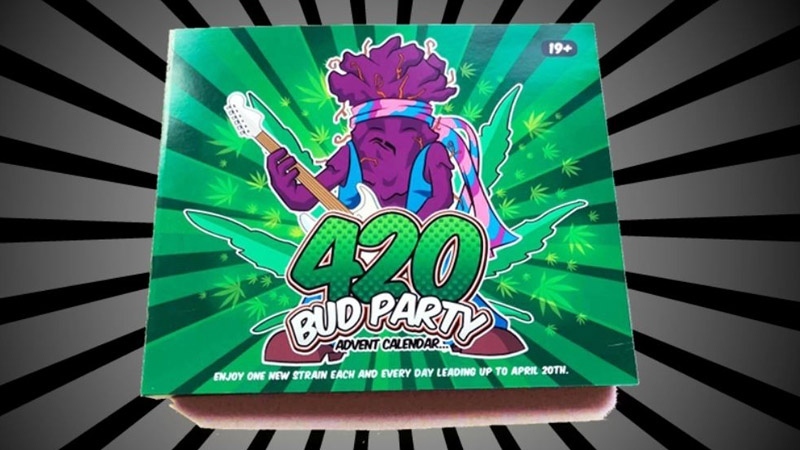 The "420 Bud Party Countdown" calendar has space for 20 half-gram samples. A list of retailers will be available on CannaCalendar's website. "So a lot of the dispensaries might be higher end, so they're going to put higher-end pot in there," Tyler Kiren said. The stores will then set their price depending on product, but CannaCalendar's Bobbi Hopeful estimates they'll retail for between $99 and $140. "With over 800 named strains, each with different psychoactive and medicinal effects – effects which depend just as much on the individual user – those new to cannabis are advised to try out as many strains as possible in order to find the right one for their individual needs," Hopeful said. 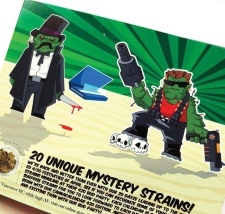 The 4/20-themed calendar comes just months after a similar Christmas version sold out. Those behind the joint venture said they're already planning ahead to next year, with hopes to launch a Valentine's Day advent calendar for couples. Vancouver-based Coast to Coast Medicinals also sold a cannabis advent calendar at Christmas for between $200 and $300, and had about 100 pre-orders by mid-November. With products available for purchase online, many have previously raised concerns about ensuring buyers are at least over the age of 19. "Even though it is kind of playful, we don't want to attract kids in any way," Landon said. 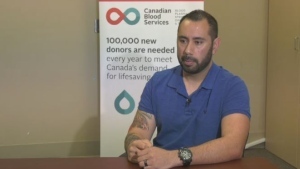 Hopeful said sites often ask shoppers to click a button saying they are of age before being allowed to enter the site, and some will ask after purchase for a buyer to send a photo and an image of their ID before confirming the purchase. Some sites have an age restriction of 21 based on guidelines including those from the Canadian Psychiatric Association. The CPA and Canadian Medical Association both urged the federal government to ban sale of cannabis to those under 21 due to increased health risks, as the brain continues to mature until the mid-20s. Research suggests cannabis use interferes with brain development in a number of negative ways, the organizations say, including aspects of cognition, risk of primary psychotic illness and an increased likelihood of dependence. The '420 Bud Party Countdown' calendar is shown in an image from CannaCalendar. The front of the '420 Bud Party Countdown' calendar is shown in an image from CannaCalendar.